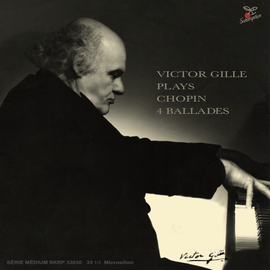 We announce new CD - Victor Gille plays Chopion 4 Ballades. 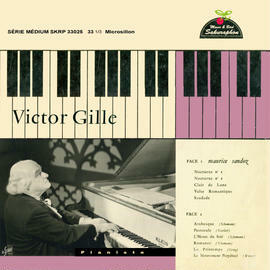 Legendary French pianist Victor Gille (1884-1964), grandson of Victor Masse(1822-1884, composer) and son of the writer and librettist Philippe Gille, was a pianist, pupil of Diemer at the Paris Conservatoire. Gille was an eccentric and wellknown personality in the discrict Montmartre, Paris, liked spiritism, monarchist (one of his several ring fingers decent from Marie-Antoinette (1755-1793), the last Queen in France). 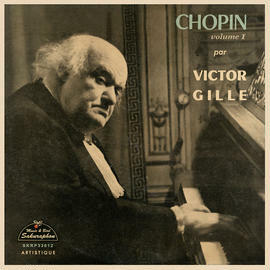 Gille was one of the best Chopin player, with an outstanding sonority, gave many recitals beetween 1927 to 1940 for his friends and admirers at his home, at the Trianon Palace, Verseilles, at Champs-Elisées, at the Salle Erard, often his concerts take much longer than 4 hours. His memoirs “Souvenirs romantiques” was dedicated late in life, contain some interesting comments relative to Chopin’s teaching. Gille grew up at the turne of the century amongst several former pupils of Chopin whom he names; in addition to some well-established names (Mme Dubois, Laure Duperré, Baronne d’Ivry, Georges Mathias, Mme Roubaud, Mme Veyret) he lists Peru and about ten others who are otherwise unknown - for example, Charles Delioux(1825-1915) who taught Gille’s mother and Gille himself. Gille was a rich men, made only a few records for French Odeon in ca. 1933 & St.CLOUD, but said «I don’t need this money. 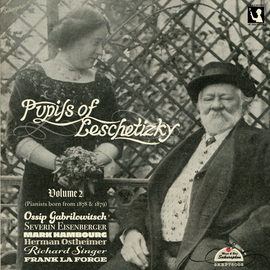 Almost Gille’s Chopin recordings were made for private tapes. 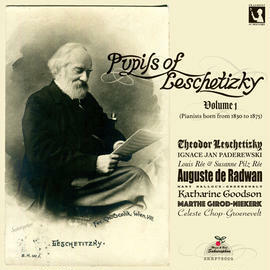 This important Chopin playing were released 3 LPs, then completely reissued by Sakuraphon 2CDs (SKRP33012/33013). And Gille made a few studio recordings in late 1950s for French minor label Acropole which containes other composers(Scarlatti, Weber, Schumann, Grieg and Maurice Santoz - reissued Sakuraphon SKRP33025) and this Chopin’s 4 Ballades.